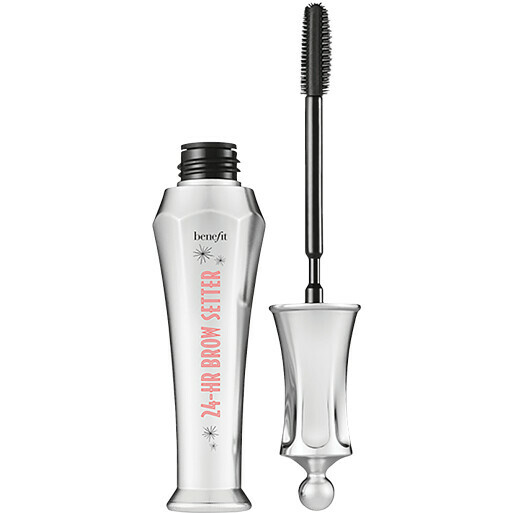 Ensure your beautiful brows stay put with the Benefit 24-Hr Brow Setter, a clear brow gel that will shape and tame. 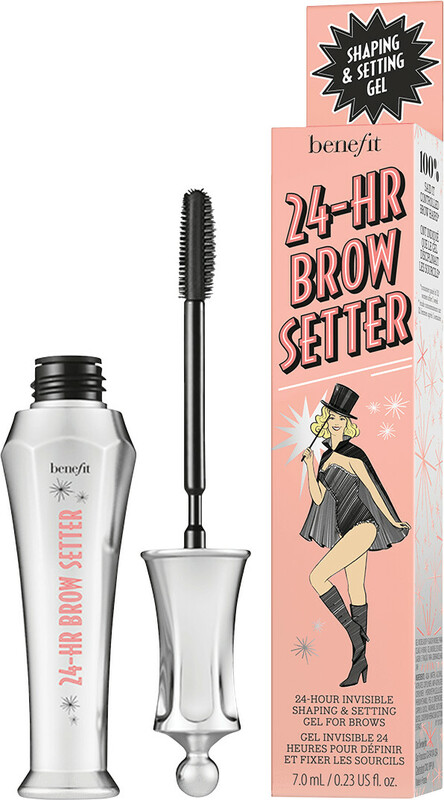 With 24-hour hold, the Benefit 24-Hr Brow Setter will lock in place natural or made up brows, so your style doesn’t don’t rub off or fade. The custom-molded, dual-sided wand will coat brow hairs from roots to ends, and the flexible flake-free formula is easy to apply and fast-drying. Peace of mind for those that want their brows to stand the test of time, the Benefit 24-Hr Brow Setter promises 24 hours of arch perfection. Evenly coat brow hairs from roots to ends. Not sure how to get the best out of your brows? We've got just the thing. Take a picture of yourself with bare brows and head over to the Benefit Brow Try On Tool, it'll help you to find your perfect brow shape, thickness and definition - and choose the perfect products to help you achieve them too! AQUA (WATER), ALCOHOL, ACRYLATES COPOLYMER, AMP-ACRYLATES COPOLYMER, HYDROXYETHYLCELLULOSE, PHENOXYETHANOL, PEG-12 DIMETHICONE, CAPRYLYL GLYCOL, PANTHENOL, BUTYLENE GLYCOL, GOSSYPIUM HERBACEUM (COTTON) EXTRACT. N° 10113/A Please read the ingredient list on the packaging of your product to be sure that the ingredients are appropriate for your personal use.